Indonesian investigators have confirmed the presence of a third, off-duty pilot who reportedly saved a troubled Lion Air Boeing 737 MAX the day before it crashed. Bloomberg reported that the off-duty pilot was in the jump seat in the aircraft’s cockpit when it developed problems and suggested to the flight crew that they turn off the trim stabilizer system as they struggled to control the plane. READ Crash expert Greg Feith slams critics of 737 MAX certification process. Why are the investigators withholding vital clues into 737 MAX crashes? The plane would develop similar problems the next day shortly after taking off from Jakarta and would crash into the sea with 189 people on board as the pilots apparently struggled to work out what was happening. A preliminary report on the crash did not mention the third pilot despite giving a detailed description of the flight on the day before the crash. Officials said he had been interviewed but did not reveal details. Tjahjono said that data from the cockpit voice recorder did not match media reports detailing how the pilots and co-pilot struggled to regain control of the aircraft prior to its crash on October 29. 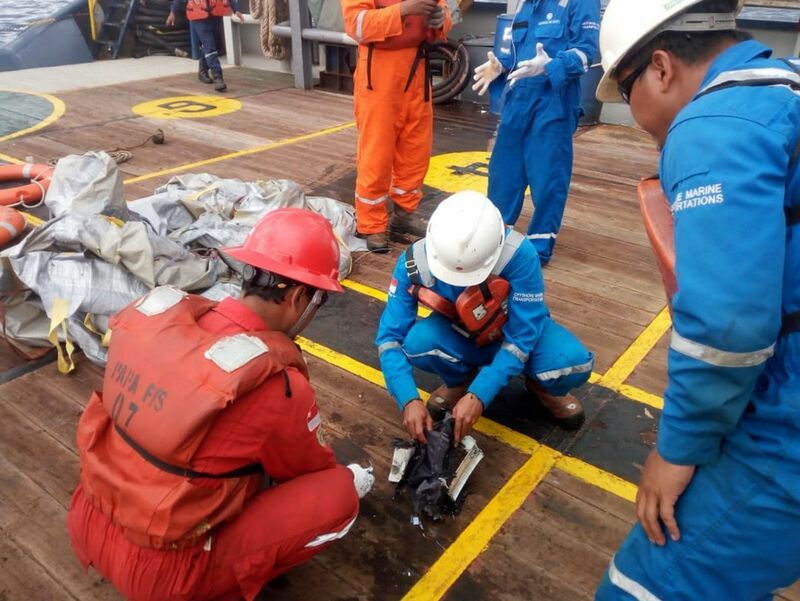 Quoting three sources, Reuters reported Thursday that the pilots of doomed Lion Air Flight 610 scoured a handbook as they struggled to understand why the jet was lurching downwards. The sources said the first officer said “Allahu Akbar” or “God is Greatest” just prior to the hitting the water. Denying the leaks came from the NTSC, Tjahjono said Indonesia investigators kept tight control on access to the data from the flight and it was stored on a stand-alone server not connected to the Internet. However, the official in charge of the crash, Nucahyo Utomo, confirmed there was panic in the cockpit prior to the crash. Indonesian investigators have visited Boeing to carry out a reconstruction of the next-to-last flight and Tjahjono said the agency would publish its findings in August or September. Previous articleWhy are the investigators withholding vital clues into 737 MAX crashes?